Pharmacy is the health profession that links the health sciences with the chemical sciences, and it is charged with ensuring the safe use of medication. 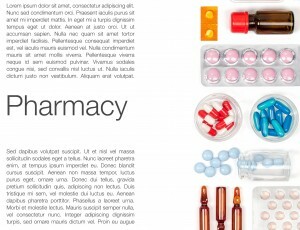 The scope of pharmacy practice includes more traditional roles such as compounding and dispensing medications on the orders of physicians, and it also includes more modern services related to patient care, including clinical services, reviewing medications for safety and efficacy, and providing drug information. Pharmacists, therefore, are experts on drug therapy and are the primary health professionals who optimize medication use to provide patients with positive health outcomes. Pharmacists are health professionals who practice the art and science of pharmacy. In their traditional role, pharmacists typically take a request for medicines from a prescribing health care provider in the form of a medical prescription and dispense the medication to the patient and counsel them on the proper use and adverse effects of that medication. In this role, pharmacists ensure the safe and effective use of medications. Pharmacists also participate in disease state management, where they optimise and monitor drug therapy – often in collaboration with physicians and/or other health professionals. Pharmacists have many areas of expertise and are a critical source of medical knowledge in clinics, hospitals, and community pharmacies throughout the world. Pharmacists are sometimes small-business owners, owning the pharmacy in which they practice. They are also very skilled and specialized individuals with specific knowledge that makes them a vital part of any healthcare team. They act as a learned intermediary between patients and healthcare providers to ensure that proper medical therapy is chosen and implemented in the best way possible. Pharmacists are sometimes referred to as chemists (or dispensing chemists), which sometimes causes confusion with scientists in the field of chemistry. This term is a historical one, since pharmacists originally were required to complete an undergraduate degree in Pharmaceutical Chemistry (PhC) and were known as “Pharmaceutical Chemists”. How to register as pharmacist in Hong Kong?